Why is Turkey Prosecuting Yet Another Artist? 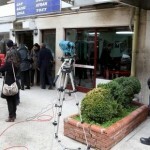 It is a cold winter for freedom of expression in Turkey. Thousands are in prison or in pre-trial detention under Turkey’s bloated anti-terrorism laws, including nearly three thousand students. Say is one is a long, unhappy series of prominent artists and intellectuals, including Nobel Prize laureate Orhan Pamuk, who have been targeted for prosecution in Turkey because of opinions they have voiced. Say’s case is a prominent example of the ways in which the prosecutors and courts have used the law in Turkey to stifle dissent and controversial opinions. A hearing this week ended with a continuance until April 15. Stay informed and take action! Join us in working to address human rights violations in Turkey. You can stay informed of human rights violations by following us on our blog and on Facebook. And you can join us in our work, by contacting Natsumi Ajiki at [email protected] and joining Amnesty International – USA’s Turkey Regional Action Network. 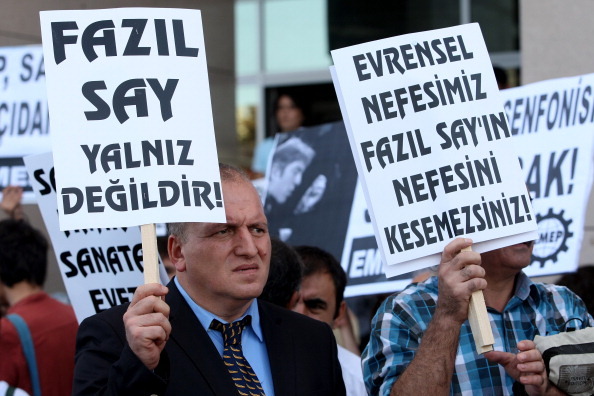 Please also consider supporting PEN’s current action on Fazıl Say. Together we can make a difference. This entry was posted in Censorship and Free Speech, Europe, Prisoners and People at Risk and tagged Artists, Fazil Say, freedom of expression, freedom of religion, Grup Yorum, human rights, Orhan Pamuk, students, Turkey by Howard Eissenstat. Bookmark the permalink. In Turkey, Who Will Be Left to Defend the Victims? This looks a lot like Russia. Is Turkey becoming a dictatorship? Freedom of speech is a key human right and they are openly breaking it.